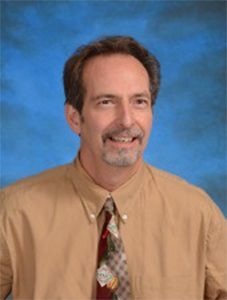 Mr. Lucci has served the students of Stafford Technical Center in several capacities since joining the staff in 2001. As Curriculum Coordinator, he was responsible for bringing dual enrollment opportunities, articulated college credits, and industry-recognized credentials to every CTE program at Stafford. For several years he could also be found in the classroom, teaching a section of Technical English to students enrolled in the Electrical-Plumbing, Forestry and Natural Resources, Human Services, and Power Mechanics and Welding programs. Currently, Mr. Lucci is the Assistant Director for Adult Technical Education making him the point person in providing workforce development opportunities for adult students throughout Rutland County in fields like professional trucking, welding, and a number of careers in allied health. He is also committed to providing leadership support as a volunteer to several agencies and professional associations including serving as Treasurer on the Board of Directors for the Rutland County Court Diversion and Restorative Justice Center; and Chair of the Community Impact Committee for the United Way of Rutland County. He was recently elected by his peers to serve a three-year term representing Vermont as a Commissioner on the Commission on Public Schools-Committee for Technical and Career Institutions for the New England Association of Schools and Colleges (NEASC). Mr. Lucci holds a Bachelor of Arts degree in Psychology and Mass Media Communications from the Massachusetts College of Liberal Arts, and a Master of Education degree in Counseling Psychology from Bridgewater State University. He has also completed his coursework for the Doctor of Education degree in Educational Administration from Nova Southeastern University. In his spare time Lucci can be found weight training and swimming at the gym, and spending time with his wife Kim who is also an educator at the Castleton Elementary School. Lucci is the father of two grown sons, Alex and Sam, and a daughter Gabrielle who is a student at Christ the King School in Rutland. They reside in Poultney.